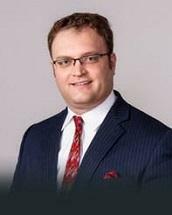 Adam J. Sedia concentrates his practice in all areas of civil litigation, with a special focus on appellate work. Mr. Sedia has litigated dozens of cases before the Indiana appellate courts and the U.S. Court of Appeals for the Seventh Circuit. In addition, Mr. Sedia has jury trial experience and has represented individuals and businesses in a wide variety of cases in state and federal courts, as plaintiffs and as defendants. Mr. Sedia has had scholarly articles on a variety of subjects from patents to insurance coverage published in various law journals. He also serves as the president of the Lake County Bar Association.In addition to his professional endeavors, Mr. Sedia has published two volumes of poetry – The Spring’s Autumn and Inquietude – and has had his poems and short stories published in various literary journals. He also composes music, which may be heard on his YouTube channel.